Given the events the Gospels describe, and the renown they claim Jesus achieved during his own lifetime, it's rather striking that there are no contemporary accounts of him. 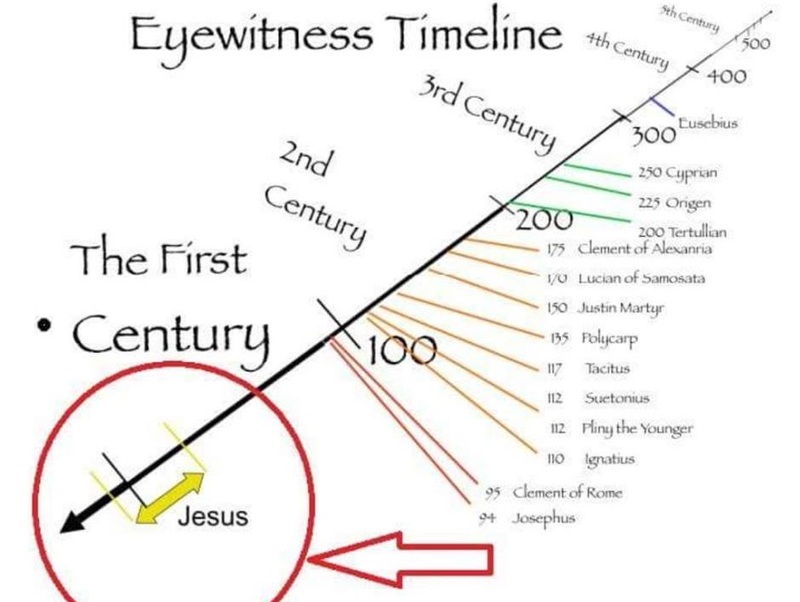 In a society where literacy was fairly widespread and abundant details of historical events major and minor have come down to us, no one who should have actually witnessed the extraordinary events said to have marked the life of Jesus wrote down anything about him. The writings we do have date from at least decades later and show a remarkable ignorance of the period they were describing -- Jesus is said, for example, to have grown up in Nazareth, a town that probably didn't exist until the second century, and the census of Quirinius (linked by Luke to the birth of Jesus) took place at least nine years after the death of Herod the Great, said to have been king when he was born. Obviously these texts were written by people considerably removed from the time of Jesus. But, the defenders of the Bible hasten to insist, we cannot infer from this that Jesus never existed and was merely invented by writers generations after his supposed lifetime. Absence of evidence, as the saying goes, is not evidence of absence. Well, that's true in some cases. But there are also cases where, if something were present, you would expect to detect evidence. For example, if there were an elephant standing behind you as you sit at your computer, you would expect to be able to smell it, to hear it breathing and moving around, and of course to see it if you turned around to look. If you inspect the room and you do not see, hear, or smell an elephant, that absence of evidence is indeed weighty evidence that there is no elephant in the room. An elephant is just too big and impressive to overlook. Similarly, some of the events described in the Gospels are so spectacular that, if they had actually happened, we would expect contemporary writers and historians to have written at length about them. Walking on water, curing leprosy, raising the dead, turning water into wine, coming back to life after being crucified, etc. certainly fall into that category. Even though Palestine was a backwater, it was part of a huge, civilized empire with a high literacy rate for the time, and it was only a few hundred miles from Alexandria, the greatest center of science and scholarship in that era. There's plenty of first-century writing about Roman Palestine. But nobody saw the elephant. There wasn't an elephant. Maybe there WAS an elephant but it was a PINK elephant because everyone was drunk. HUH? HUH? Whaddya say to that, Mr. Smart Guy??? "Absence of evidence is not evidence of absence", often wrongly attributed to Carl Sagan (it was actually Martin Rees) is one of the most irritating maxims used by theists. Of course it is EVIDENCE of absence, especially where evidence would be expected; what it isn't is PROOF of absence. Of course, it's a sneaky way to try to shift the burden of proof. In normal life, people regularly and unthinkingly bet their lives on it being true when they cross a road and take it for granted that absence of evidence of oncoming traffic is evidence of the absence of oncoming traffic. And of course, the absence of evidence, especially by contemporaneous historians such as Philo Judaeus who lived in and around Jerusalem for the whole of Jesus' supposed life and yet recorded not one single event associated with his life and death, not even the earthquake, unpredicted eclipse and dead people rising from their graves and walking about. Absence of evidence on this scale is pretty solid evidence of absence. Infidel -- a good stop-and-think post (and Mr. Hounslow's comment as well). In his biography, Mark Twain wrote, "The so-called Christian nations are the most enlightened and progressive...but in spite of their religion, not because of it." That holds true today, and will as long as reason and science are denied in favor of pinning one's unenlightened belief system on an "absence of evidence" to the contrary. (1) "abundant details of historical events"
Except, as Tim O'Neill (who is himself an atheist) points out, we don't have that many surviving records. The destruction of Pompeii was a very significant event, but the five surviving contemporary records of Vesuvius' eruption don't contain the name Pompeii at all. Even if we consider someone like Theudas, who was a apparently an important Jewish figure of the time, our knowledge comes from a record of Josephus a half-century later. Philo Judaeus (aka Philo of Alexandria) doesn't mention him in any of his surviving writings. We just don't expect a lot of records from first-century CE Palestine. 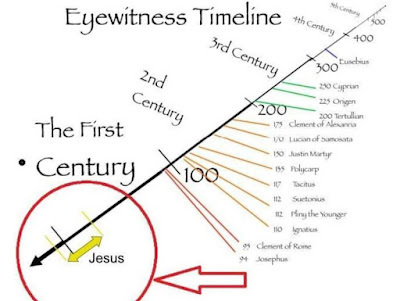 (2) Also, if a historical Jesus existed, he was predicting the imminent end of the world. His followers wouldn't record anything for posterity, because they believed there would be no posterity. I wouldn't expect anything from them, so the "absence of evidence" argument would fail there. (3) The addition of supernatural events to a person's biography as a means to show the person's importance was a common practice during the Pax Romana era. The earliest Christian reference doesn't have the miraculous events. It's likely that a historical Jesus didn't conduct any materials, and they were added later on. (4) Finally, the earliest references to Jesus come from Paul's authentic epistles, dated to the middle of the 50s, about twenty to twenty-five years after a crucifixion. Paul specifically mentioned meeting James, the brother of the Lord, and the context indicates that Paul regarded Jesus as a real person. I'm having trouble imagining how a character can be made up from whole cloth in under than 25 years. I believe Jesus existed, but was neither a deity nor a miracle worker. *Might I recommend Tim O'Neill's History for Atheists blog? Very thought provoking,but me, with my tiny mind and need for sarcasm, kept returning to one thought ... Jesus is an elephant? I remember the example of using Elvis. We have countless people who met, seen and interacted with Elvis. But so many people think he's still alive and other bizarre theories. Bill: That's true. If the maxim were applied universally, our grasp of reality would become completely incoherent. If something would be visible if it were there and you don't see it, it isn't there. Hackwhacker: Twain got it right. Just look at what those Christian countries were like a few centuries ago when they really took this nonsense seriously. Anon: If a figure whose story was anything like that of the Jesus of the Gospels had actually existed, he would have been mentioned in contemporary accounts. If a figure existed whose story didn't seem noteworthy enough for contemporaries to record, then it wasn't the Jesus of the Gospels. But there's no reason to believe that. For all the hand-waving away of all the absence of evidence, the fact remains that there isn't any evidence. Bob: Well, he could have been a hammer-headed shark. But an invisible one. Adam: Good example. The evidence that Elvis is still alive is a lot better than the evidence that Jesus existed.